I am an author! A dream fulfilled! Starting in the past with Reid Lance Rosenthal's Threads West: Maps of Fate, this one's a surprisingly enjoyable tale of America's pioneers and does a great job of bringing a wagon train to life. Ever wondered how to cross a river with wagons? Or how to jerk beef? Enjoy this book with a well-balanced 3-star cup of coffee. Lee Strauss's YA novel Perception is due for release on September 12th. It's the first in what sounds like a really intriguing series, set in the not-too-distant future in a world of extreme climate, natural disaster and impending war. The book blurb promises the novel will explore the clash between faith and science, and how differences can separate us as enemies or ally us together, adding "in the midst of betrayal and personal crisis, there's room to fall in love." Sounds good to me. I was lucky enough to be able to interview the author, so grab some coffee, sit back and see what we "talked" about. 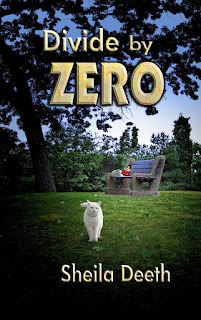 Divide by Zero has arrived on kindle !!!!! I just typed my name into Amazon and found Divide by Zero is there, on kindle, with my name on its gorgeous cover and a "look inside" feature that tells the story I wrote. Wow! There's something really scary, really thrilling, really amazing about that. I think I need lots of coffee and chocolate to celebrate. Thank you Stonegarden !!!!! While I drink that coffee, I suppose I really should write something too. So I'll add some book reviews and coffee recommendations to my blog. Here are books I've read recently written by other people, but don't forget, Divide by Zero's by me, and if you read it I'd love to hear from you !!!!! I finally released three of my Inspired by Faith and Science books on Amazon Kindle, dreaming they'd automatically link the the Createspace versions in the Amazon listings and all would be well. I can now report all is indeed well, thanks to the excellent customer service at Amazon's Author Central. The books didn't link but I clicked on those little blue "contact us" words as I viewed one in Author Central. I chose "other" as my question type, selected "I want to link different editions of my book" from the dropdown, gave them the ASIN of the kindle version and the ISBN of the paperback, and... within just a few hours the link was made! Thank you Amazon Author Central! The eFestival of Words opens on Friday and there's a great schedule of events, chats and workshops. No new registrations after 1200PM EST on August 17th, so go to the Welcome Center and get your (free) registration now (click on Register, in the middle, just under the banner). Don't forget to sign up for the Drabble Workshop too, Friday August 17th at 2.00pm EST--just go to your User Control Panel (under the banner) after registering, click on Usergroups (Left Hand Side), then select and join whichever groups you're interested in. I'll look forward to seeing you there! Gentle Wind's Caress, by Ann Brear, is free on Amazon Kindle today--just click on the link to find it, or click here for Ann Brear's guest post on history, travel and research. This one's definitely on my reading list. I'm just wondering... I bought an ebook from Amazon a while ago and when I finally opened it, my copy turned into different book by the same author--one I'd already read. I tried reading online and redownloading from Amazon, but the book didn't change so I contacted the publisher who was kind enough to send me a new copy. So now I'm wondering, how often do ebooks break, and why? You'll find book awards, panel discussions, workshops, and even a swag bag of goodies to compete for when you register. Plus, on Friday 17th at 2pm Eastern time I'll be leading a DRABBLE WORKSHOP! I'd love to meet you there. Want to know what a drabble is? Today I'm delighted to welcome the author to my blog. Find out how someone who knows what's going on experienced the process of publishing a book, and learn some tips to help you on the way. You’ve heard about the cobbler’s children who go without shoes? I own 1106 Design, which helps authors move their books from dream to reality through self-publishing. 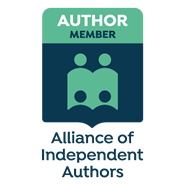 Over the years, through my experience as a graphic designer and typesetter and now business owner, I have personally assisted close to a thousand authors in bringing their publications to life. But I didn’t have a book to call my own. For hunters of free reads, The Toadhouse Trilogy book one is free on kindle at the moment, so why not give it a try. http://www.amazon.com/The-Toadhouse-Trilogy-Book-ebook/dp/B008ML9ONS/ A regular teen in 1930s Alabama finds she's been living in a book for the last five years and her only escape will be through the pages of more... Sounds good to me. I'm endeavoring, essaying, striving or trying to catch up on posting reviews, so here are a few brief reviews of books of essays--it seems appropriate. The coffee ratings are for caffeine to keep me awake (except it sends me to sleep) and the blue links are for longer reviews on gather--another place where I shall shortly essay to catch up. Memories are Precious, by Fran Lewis, tells the story of her mother's alzheimer's journey, with stories, memories, verse, useful advice, and some fascinating insights into her mother's thought process--as the author says, her mother spoke for her when she was a child; now she speaks for her mother. The mix of family recollection, friendship tales, pleas for more research and lists of symptoms and warnings works quite well. An interesting book for anyone as this disease becomes more common, best read with a 1-star crisp light coffee. Took husband to the urgent care clinic for a stomach acheTook husband to the ER for suspected appendicitisFollowed husband along many corridors as they prepped him for his opCollected overnight stuff for husband.Watched a glorious sunset from the window of his hospital room. All is well. Husband is home, minus appendix, now and I'm playing catchup. So here are a few book reviews--I'll post more later. I might even clean the kitchen and bathrooms later, but the dandelions will just have to continue shining their gold on the clear summer air for a few more days. Blue links, when I add them, will lead to full reviews on gather. And coffee will be much appreciated.